Nantucket Boy Scouts on the Camp Richard obstacle course. 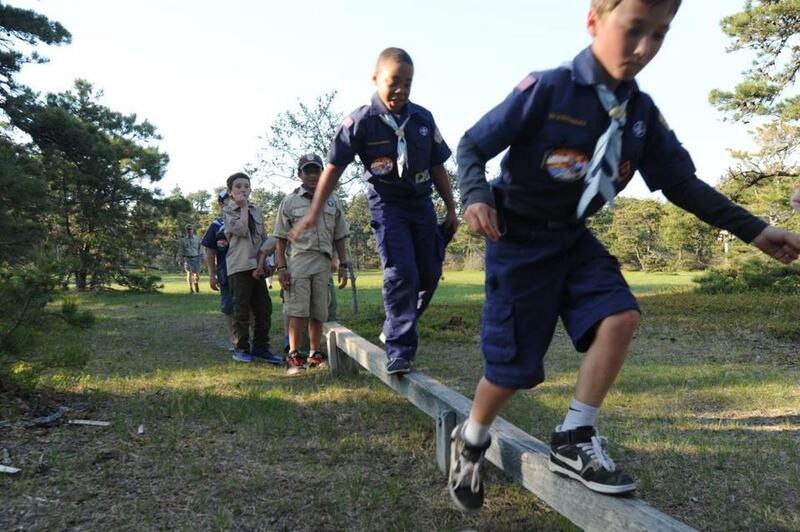 NANTUCKET — Boy Scouts vow to be trustworthy and loyal, and to do a good turn daily. But a plan to sell a patch of pristine property in the center of Nantucket has leaders of Boy Scout groups on the island and Cape Cod accusing each other of malfeasance, deception, and “unscoutlike” behavior. And they’ve decided to resolve their differences not around a campfire, but in a courtroom. At stake is a wooded refuge of rare shrubs and threatened species that may be the closest anyone on Nantucket can get to true wilderness, where thousands of boys have come for decades to sleep beneath a sky dark enough to see the Milky Way. In the coming weeks, a judge on Cape Cod will decide whether to allow a lawsuit to proceed that would allow the Scouts organization on Cape Cod to sell nearly a third of the 100-acre tract known as Camp Richard. It would be among the largest sales of virgin land on Nantucket in memory, and the prospect has fueled tensions on an island where developers and conservation groups have long battled. About half of Nantucket is now protected from development, despite a lack of affordable housing for its growing population. The Nantucket group’s leaders say they have spent tens of thousands of dollars and countless volunteer hours to preserve the canopy of pitch pines and scrub oaks, insist it’s their land, and have sworn to protect it. When officials from the Cape Cod and Islands Council of the Boy Scouts of America announced two years ago that they had received an offer from a developer to buy up to 30 acres of the land, the Nantucket District Committee of the Boy Scouts of America voted unanimously to reject the proposal. Then they transferred the land to another entity made up of district committee board members. 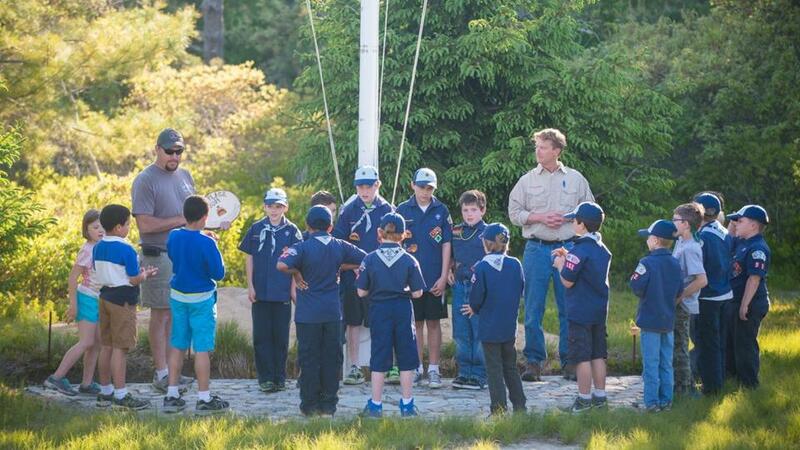 The Cape Cod group responded by ousting leaders of the Nantucket group from the Boy Scouts. It then sued them for fraud, conspiracy, stealing, and unjust enrichment, among other things. Officials for the Scouts on the Cape declined to comment on why they are seeking to sell the land or how much the developer has offered. The council’s publicly available financial statements show the group has had significant expenses and losses in recent years, though it has a healthy endowment. The effort to sell the land comes as Boy Scout membership has plummeted in recent years, making it the latest example of local councils around the country selling tens of millions of dollars worth of property received as gifts. Officials from the Boy Scouts of America, which has lost nearly a third of its members since 2000, declined to comment on the potential sale on Nantucket or why so many councils have sold their land. Other proponents of the sale argue that the land is needed for affordable housing for the island’s population of nearly 11,000 year-round residents. A report this year by a local housing group found the median price of a home, $1.2 million, is now too expensive for 90 percent of the island’s year-round population, which has increased 14 percent since 2000, a rate of growth greater than any other municipality in the state. “There’s a housing crisis that we need to address,” said Donald J. MacKinnon, president of Atlantic Development in Hingham, who plans to build a housing complex on land adjacent to Camp Richard. MacKinnon, who said he would pay at least $5 million for the property, argues that the sale would benefit the Boy Scouts on Nantucket. He said that his plans would leave two-thirds of the land untouched and allow the campground to continue operating. He also pointed out that the Scouts use only a small portion of the land, where they have five campgrounds, a sprawling lodge, and bathing facilities. 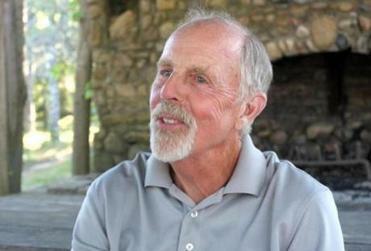 “It was very unscoutlike,” said Bob Graves. “The money would help endow the camp for land they have never used,” he said. To rule on the dispute over the sale, the judge will have to sort through the complicated question of who owns the land. The Nantucket Civic League provided the property to Boy Scouts on the island in several installments starting in the 1950s. The deed required the land be used for Scout activities; if that changed, the group would be obliged to return it to the Civic League. 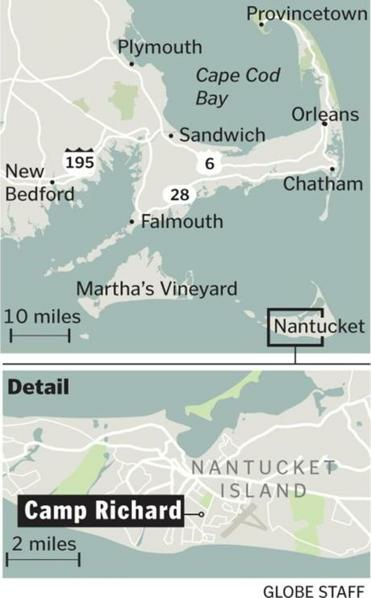 In court documents, the Cape Cod council argued that it is the rightful owner because the organization’s bylaws prohibit a subsidiary district, such as Nantucket’s, from owning land. The Cape Cod group also argued that the deed restrictions have expired. Lawyers for the Nantucket Boy Scouts and the Civic League, which supports the district committee, argue that the deed restrictions haven’t expired because state law doesn’t impose time limits when land is used for charitable purposes. They also say the land was expressly given to the Scouts on Nantucket — not the Cape Cod council, which didn’t become their parent group until decades later. Scout leaders on the island worry that development on the land would introduce noise and light that would permanently scar their sanctuary. Jeff Fox, the island’s Cub Scout master, worries that his 11-year-old son won’t be able to experience the wilderness on Nantucket. Nantucket Boy Scouts with scout leaders Jeff Fox and Michael Wilson.